1: 2018 NWHL Draft selection of Annie Pankowski, who scored the game-winner for the United States with a slapshot from the top of the right circle in the second period. 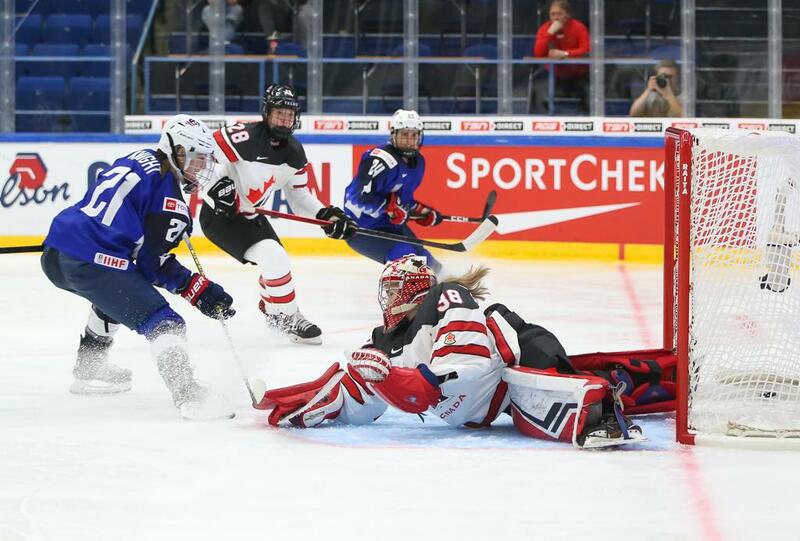 2:04: Amount of time between the United States’ first goal from Hilary Knight (CWHL Les Canadiennes de Montreal) and Canada’s equalizer from Sarah Nurse. 3: Number of players who combined for all six of Canada’s points in the game. Nurse and Brianne Jenner (CWHL Calgary Inferno) each had a goal and an assist, while Brigette Lacquette (Calgary Inferno) assisted on both goals. 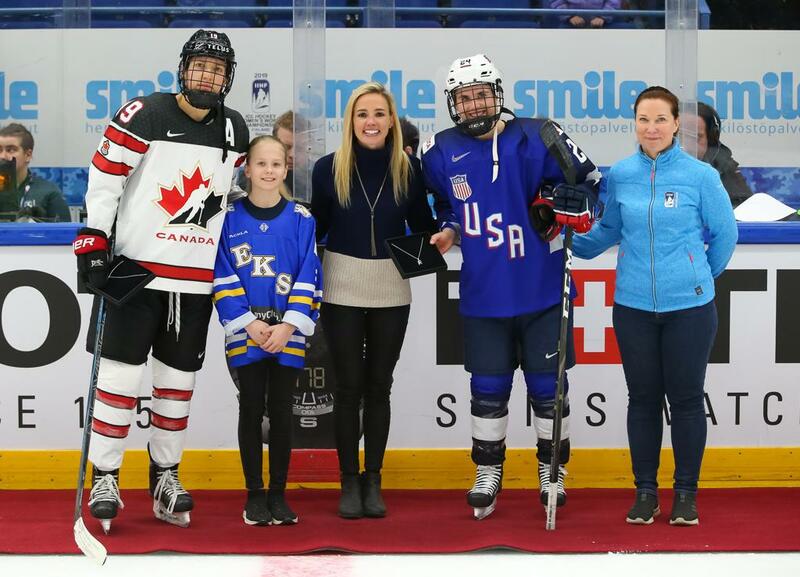 4: Number of points Team USA captain Kendall Coyne Schofield (NWHL Minnesota Whitecaps) has through the first two games of the tournament after scoring the United States’ second goal, capitalizing on a turnover in Canada’s zone. Coyne Schofield is currently tied for the tournament points lead with Vainikka Viivi of Finland. 6-on-4: Canada’s advantage with under two minutes to play as they looked to find the equalizer and force overtime. 13: Number of penalties called in Saturday’s game – fitting for the always-physical matchup between these border rivals. Each team scored one power play goal, with Jenner and Pankowski’s tallies coming on the advantage. 58: Combined number of saves from Alex Rigsby (CWHL Calgary Inferno) and Emmerance Maschmeyer (CWHL Les Canadiennes de Montreal). Rigsby finished with 31 for the United States, while Maschmeyer turned away 27 for Canada. 3102: Official attendance at Metro Areena according to IIHF. With the win, the United States takes the lead in Group A, with a 2-0-0-0 record, as Canada drops to 1-0-0-1.